The Suez Canal construction in Egypt is set to be extended barely weeks after its completion after the country unveiled the $8.5b for its extension. According to the projects’ patron president Abdel-Fattah el-Sissi, the construction to extend the canal involved the digging and dredging along extra 45 miles of the 120 mile canal and making a world class water way that can handle double way traffic. The president said the construction of project ended on time and has proved that it can improve the country’s ailing economy after years of unrest and he expressed confidence the extension will be completed on time. He said the project was carried out by the Military and they completed the project perfectly on time and the operation has already kicked off as they expected. 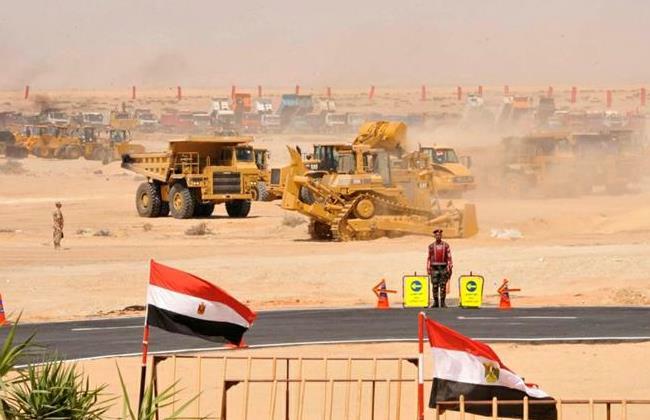 President Abdel added that the government of Egypt had put more effort to see the project end on time and they are looking forward to launch more project that will boost the country’s economy. The unveiling of the $8.5 billion extension has been trumpeted as a historic achievement by pro-government media. Products passing through the Suez canal construction include petroleum and related products such as crude oil, gasoline, gas oil and diesel oil, fuel oils and liquefied petroleum gas. “With the expansion of the canal we expect to see the development of more transshipment ports,” Peter Kiguta, EAC Director General in-charge of Trade and Customs told The EastAfrican.